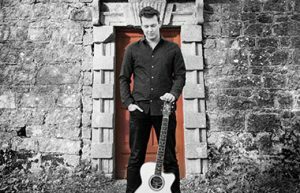 Not bluegrass, but the dynamic and imaginative playing of Shane Hennessy from Carlow should appeal to more than just fingerstyle guitar pickers - and he has played at MerleFest. He will be playing, with support, in the main venue at Whelan's, 25 Wexford St., Dublin 2, on Wednesday 28 November. * Doors open at 8.00 p.m., and tickets are €16.50. *When this post was first published, the day was shown in error as 'Friday'. Apologies to all.